Note to editors: There is a video and four images associated with this press release. Introducing CorelDRAW® Graphics Suite X8, Corel's new flagship graphics solution that makes professional design, web graphics and image editing workflows faster and simpler, all while offering more control. The new suite enables designers, artists and business users to transform creative energy into artwork that creates lasting impressions across any medium. New functionality speeds and streamlines the creative process - especially when working with fonts, images and objects. 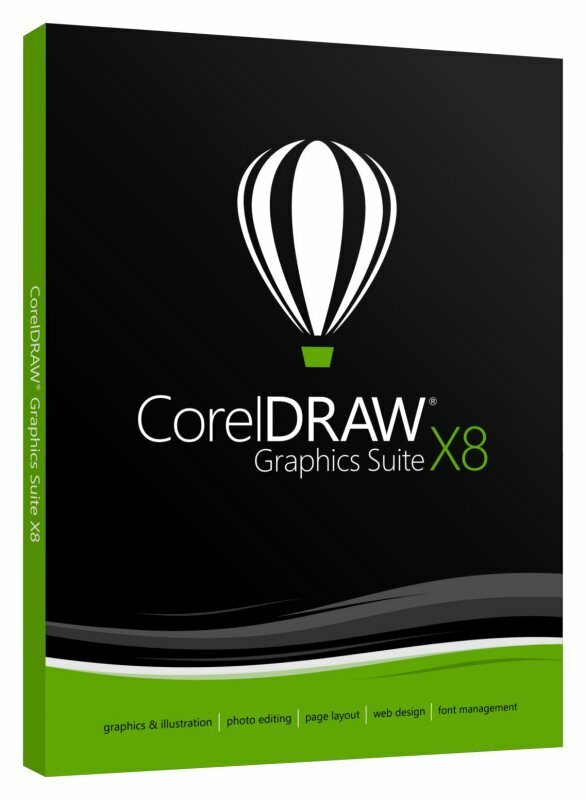 CorelDRAW Graphics Suite X8 is the optimal environment for anyone creating graphics on Windows 10, in addition to offering exceptional experiences on Windows 7 and Windows 8.1. Whether you're a new user or have relied on CorelDRAW for years, take advantage of a wide range of learning tools and a customizable environment to get started quickly and make the app uniquely your own. A new, open upgrade policy makes it highly affordable to move up to CorelDRAW Graphics Suite X8 from any previous version. "With the new X8, we've taken away many of the pain points graphics pros face daily by offering a powerful design environment that's faster and smarter than ever. From big additions, like the all-new Corel Font Manager, to the dramatically evolved Knife tool, the entire suite makes it easier for users to get the professional look and output their clients demand," said Gérard Métrailler, Vice President of Products, Graphics and Productivity, Corel. "Professionals and aspiring professionals can save time and dramatically increase productivity with simplified processes and reduced steps they'll quickly find they can't live without. 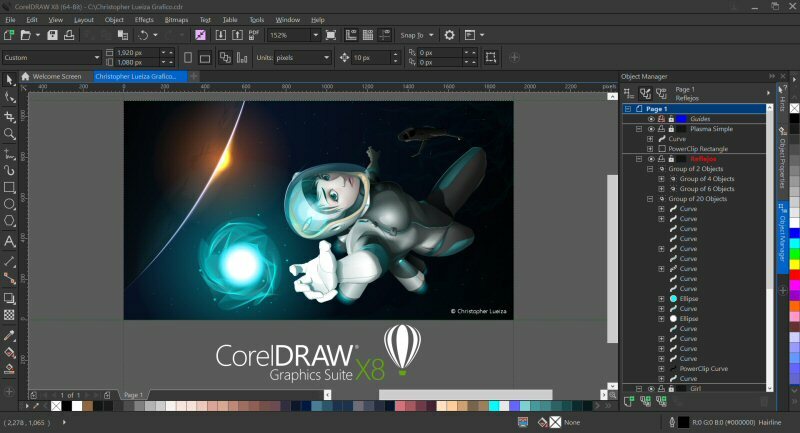 And with ultra-high resolution monitors and extensive pen and touch support, CorelDRAW Graphics Suite X8 is ready for the latest generation of Windows 10 devices. Whether you own X7 or go all the way back to version 1.0, this impressive list of new features comes together with our new open upgrade policy to make the move to X8 an obvious choice," said Cécile Brosius, Director of Product Marketing, CorelDRAW. 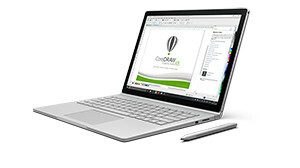 New compatibility and support: With full optimization for Windows 10, take advantage of new resolution independent multi-monitor viewing, 4K and higher displays support, and work with Windows Real-Time Stylus pen-compatible tablets, such as the Microsoft Surface, in addition to Wacom tablets and devices. 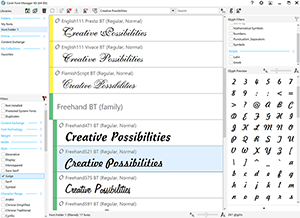 New Corel Font Manager™: Finally take control of your ever-expanding font collection and make the most of the fonts you already own! Explore, handle, and organize your fonts and typefaces quickly. Ideal for professions that use fonts daily, from graphic design, illustration and publishing, to package design, sign making, advertising and website creation. Enhanced font filtering and search: Quickly find a specific font without spending time searching in multiple folders. For example, search for "script fonts" or a specific character-set and the font list will show all the fonts on your machine that match the request. Enhanced Knife Tool: Split any object or a group of objects − vector, text and bitmaps − along straight, freehand or Bézier lines. Overlap objects or create a gap between the new objects after splitting them. Choose an outline option, or let the application automatically select the option that best preserves the outline appearance. New design features requested by users: Manage complex projects with ease with the new Hide and Show Objects. Copy, paste, or duplicate pieces of existing curves with Copy Curve and explore the Gaussian Blur to adjust the degree to which the drop shadow feathers at its edges. New and enhanced photo-editing features: Remove imperfections with the Healing Clone tool and use the enhanced Straighten Image to correct perspective distortions. New workspace customization: Be productive immediately with a workspace that matches your workflow. Alter the desktop and window borders color, select a dark or light UI that suits the way you work, customize the size of text and icons, and open desktop windows within a floating window. New learning tools: Get up and running quickly with a welcoming environment that provides easy setup, in-product learning resources, an improved Hints docker and more. See what's new with either the complete Startup tour, or a special product tour for existing power users of previous versions of CorelDRAW, Corel® PHOTO-PAINT® or other graphics applications. Enhanced support for sharing and output: Rely on a collection of the latest industry-standard file formats and design features to create, prepare and deliver your finished product. Take advantage of expanded compatibility with formats like AI, PSD, PDF, JPG, PNG, SVG, DWG, DXF, EPS, TIFF, DOCX and PPT. The new Border and Grommet dialog box lets you create a banner from a page or selected objects. Whether you work on small-scale projects, such as logos and web graphics, or larger pieces, such as banners and car wraps, CorelDRAW delivers the output you need. New CorelDRAW SDK & Developer Community: Create your own automation tools with support from the new CorelDRAW SDK & Developer Community site: community.coreldraw.com/sdk. "Corel has built a strong base for its flagship product, CorelDRAW, among artists, illustrators, designers, and business users by paying attention to their requirements and helping them work faster and more efficiently. CorelDRAW Graphics Suite X8 takes advantage of the strong touch and pen support in Windows 10, giving artists the freedom to create designs in a more natural and hands-on way. The software also addresses some of the challenges with high resolution displays with support for HD graphics and customization options to ensure text elements are highly readable. CorelDRAW has been adapted for modern hardware and modern users," said Kathleen Maher, Vice President, Jon Peddie Research. 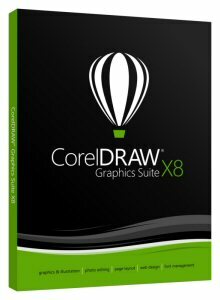 CorelDRAW Graphics Suite X8 also includes 10,000 clipart and digital images; 2,000 high-resolution digital photos; 1,000 OpenType fonts; 350 professionally designed templates; 2,000 vehicle templates; more than 1000 fills, frames and patterns; more than five hours of enhanced training videos; and much more. Upgrade Program: If you buy a perpetual license of CorelDRAW Graphics Suite X8, pay one affordable yearly fee and you're assured of working with the latest design tools, file compatibility, and the most current technology. As long as your account is active, you'll automatically receive the latest version when it's released. CorelDRAW Graphics Suite X8 is now available in English, German, Italian, French, Spanish, Brazilian Portuguese, Dutch, Polish, Czech, Russian, Chinese Simplified, Chinese Traditional, Turkish and Japanese. Download the software now at www.coreldraw.com. Shipping begins April 5, 2016. The full version is priced at £529 and the upgrade is £259. Subscription is available for £26.95 per month or £179.40 per year. Upgrade Program is available for £95.40 per year. Pricing includes VAT. Commercial and educational volume licenses are also available. For additional CorelDRAW resources, including reviewer's materials and images, please visit www.corel.com/newsroom/coreldraw. Corel's product lines include CorelDRAW® Graphics Suite, Corel® Painter®, Corel® PaintShop® Pro, Corel® VideoStudio®, Corel® WordPerfect® Office, Pinnacle Studio™, ReviverSoft®, Roxio Creator®, Roxio® Toast™ and WinZip®. For more information on Corel, please visit www.corel.com. CorelDRAW Graphics Suite X8 enables designers, artists and business users to transform creative energy into artwork that creates lasting impressions across any medium. CorelDRAW Graphics Suite X8 offers a new, customizable interface that enables users to be more productive in a workspace that matches their workflow. 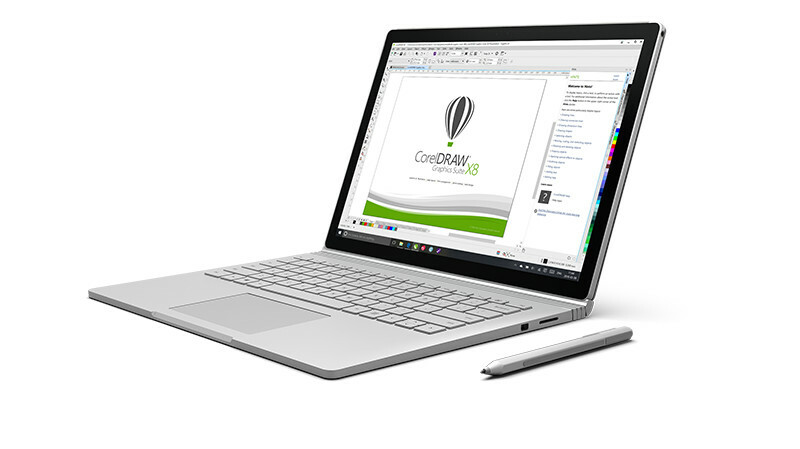 CorelDRAW Graphics Suite X8 is optimized for the latest generation of Windows 10 devices. 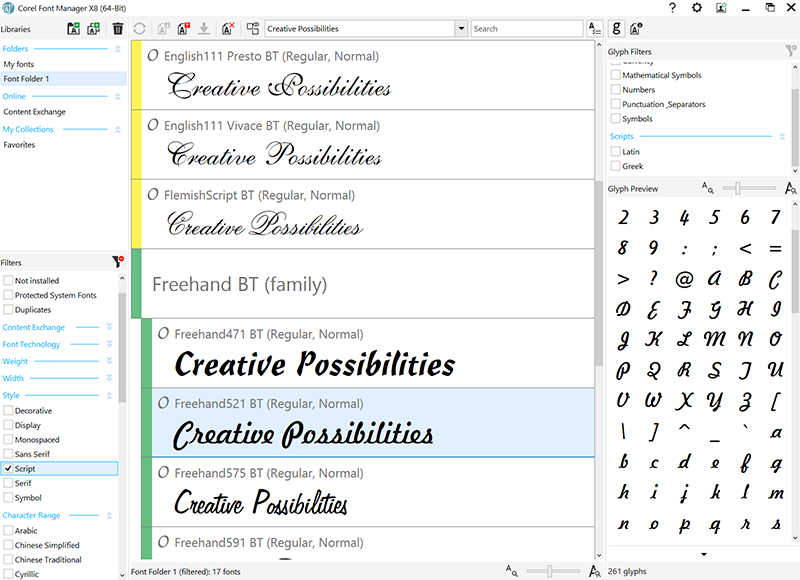 The all-new Corel Font Manager enables users to take control of their ever-expanding font collection and make the most of the fonts they already own.